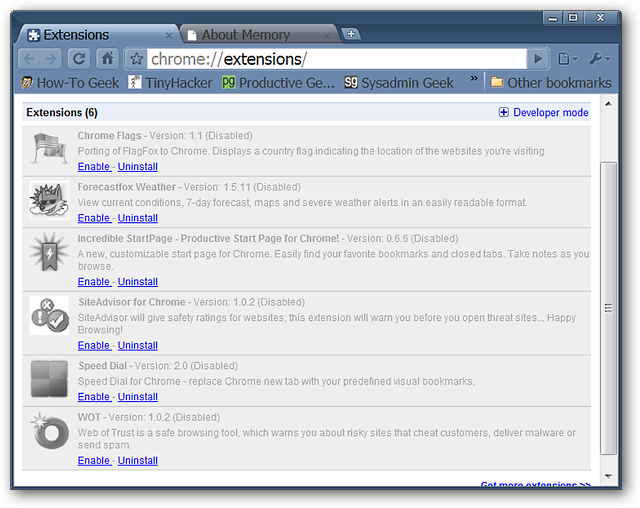 Do you want to know just how much memory Google Chrome and any installed extensions are using at a given moment? 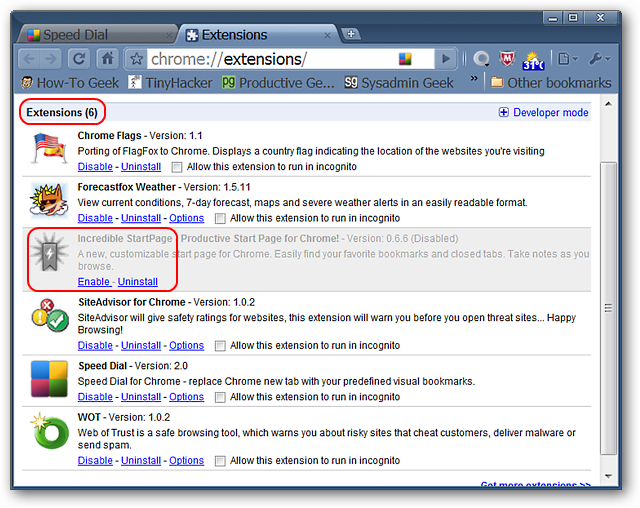 With just a few clicks you can see just what is going on under the hood of your browser. 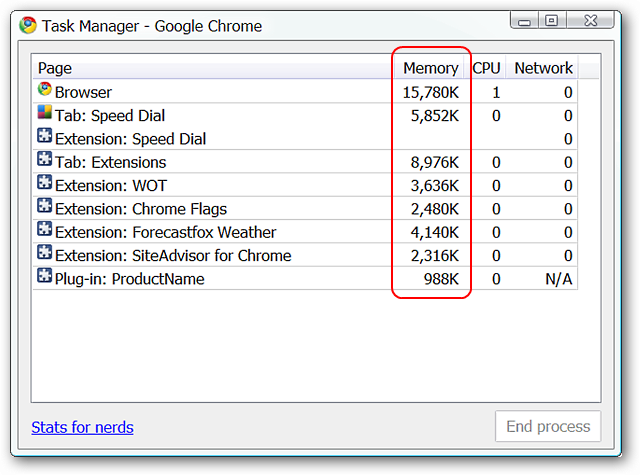 How Much Memory are the Extensions Using? 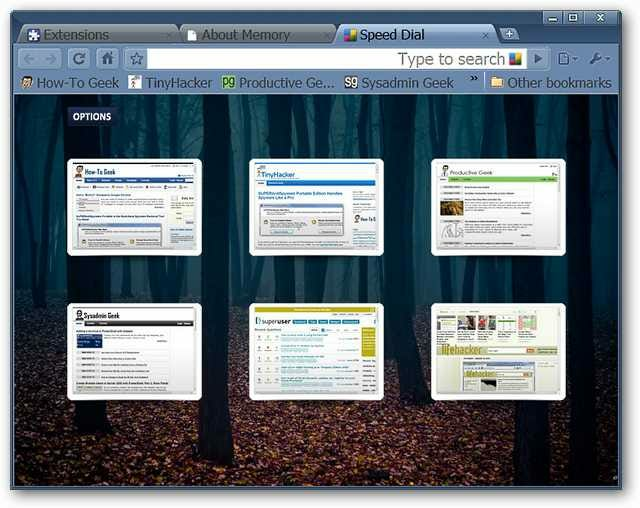 Here is our test browser with a new tab and the Extensions Page open, five enabled extensions, and one disabled at the moment. 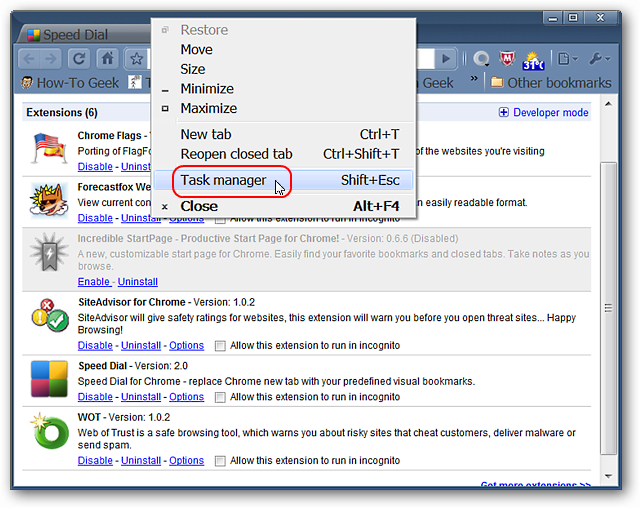 Or by right clicking on the Tab Bar and selecting Task manager. 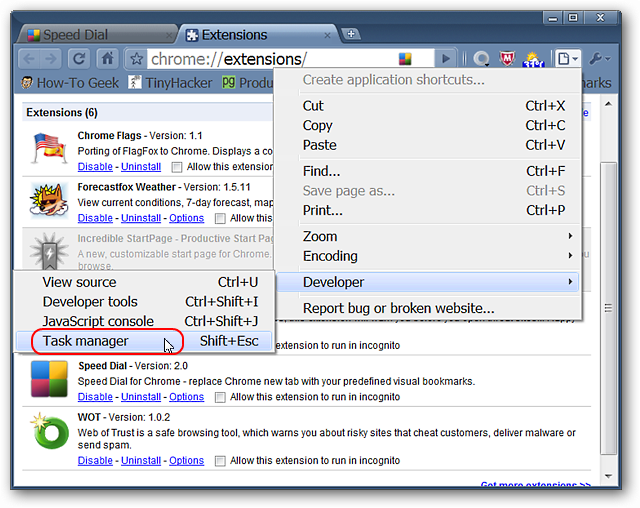 There is also a keyboard shortcut (Shift + Esc) available for the “keyboard ninjas”. If the default layout is not to your liking then you can easily modify the information that is available by right clicking and adding/removing extra columns as desired. 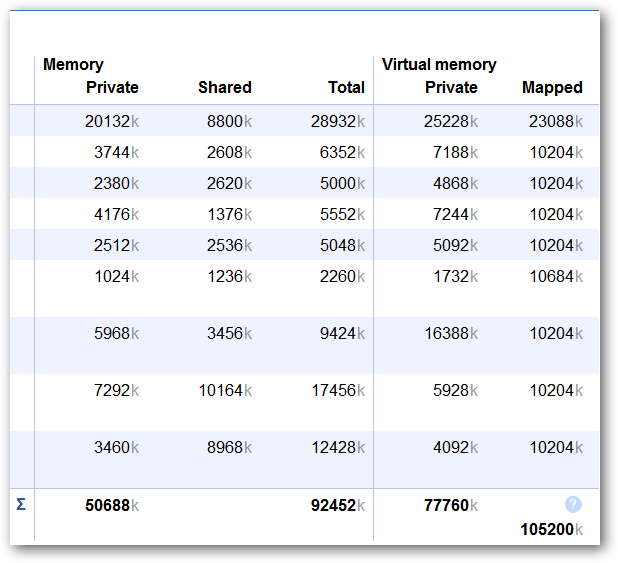 For our example we added Shared Memory & Private Memory. Want even more detail? 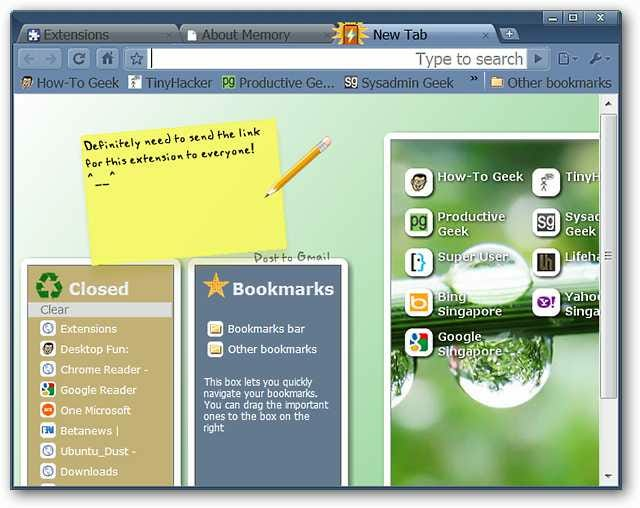 Type about:memory into the Address Bar and press Enter. Note: You can also access this page by clicking on the Stats for nerds Link in the lower left corner of the Task Manager Window. 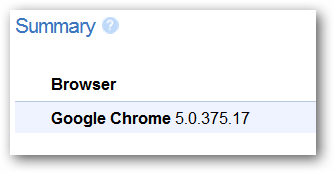 Note: If you have other browsers running at the same time you can view statistics for them here too. 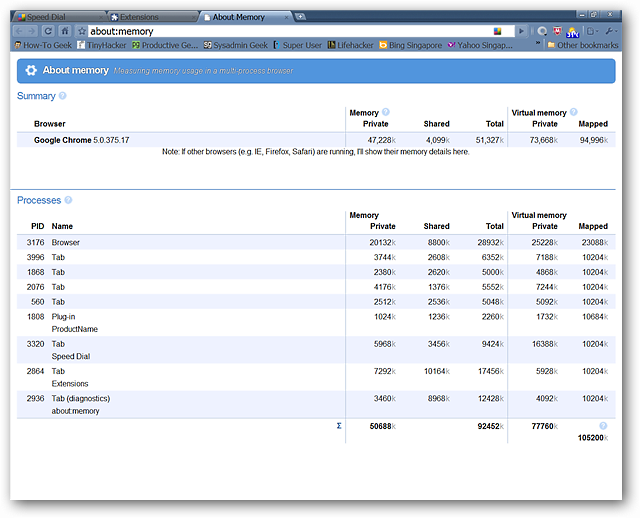 And the Memory & Virtual Memory statistics for those processes. 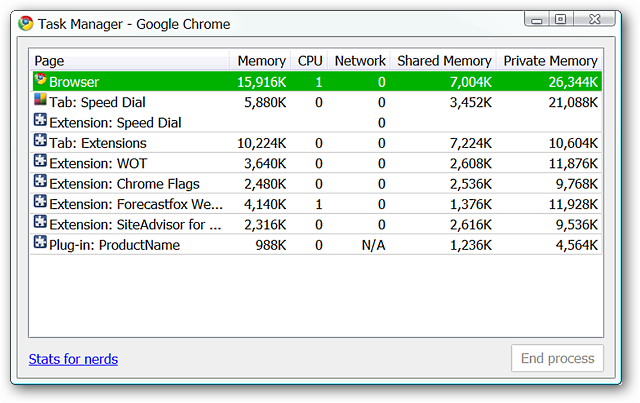 The Task Manager Window is looking rather empty now but the memory consumption has definitely seen an improvement. 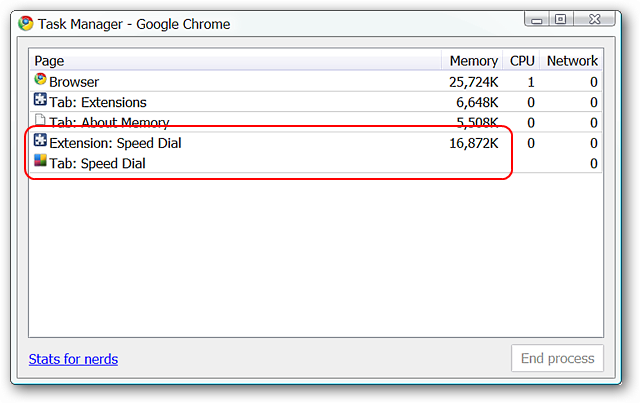 For our next step we decided to compare the memory usage for two extensions with similar functionality. 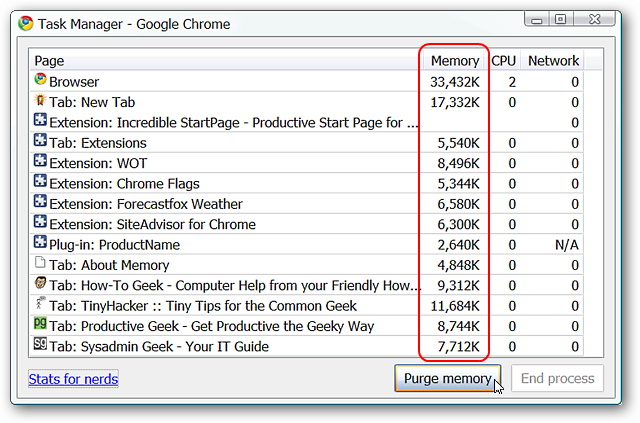 This can be helpful if you are wanting to keep memory consumption trimmed down as much as possible when deciding between similar extensions. First up was Speed Dial (see our review here). 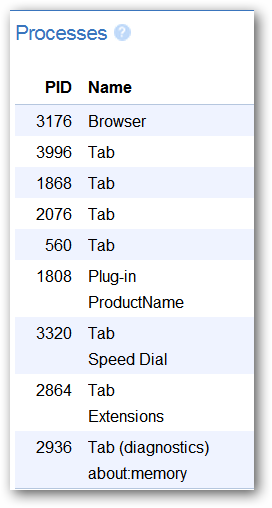 The stats for Speed Dial…quite a change from what was shown above (~3,000 – 6,000 K). 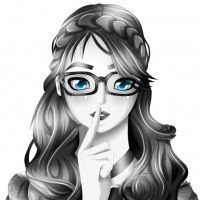 Next up was Incredible StartPage (see our review here). 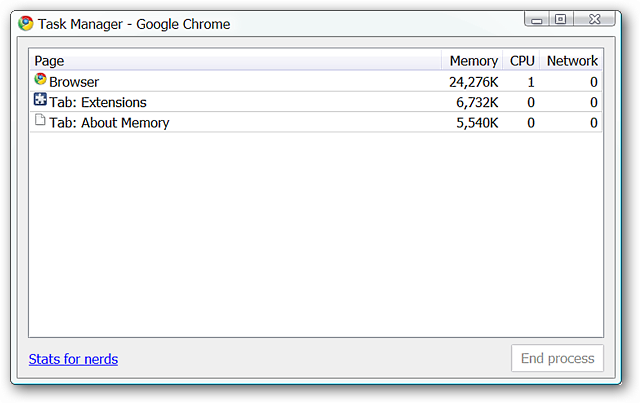 Surprisingly both were nearly identical in the amount of memory being used. Note: The tutorial for adding the command switch can be found here. 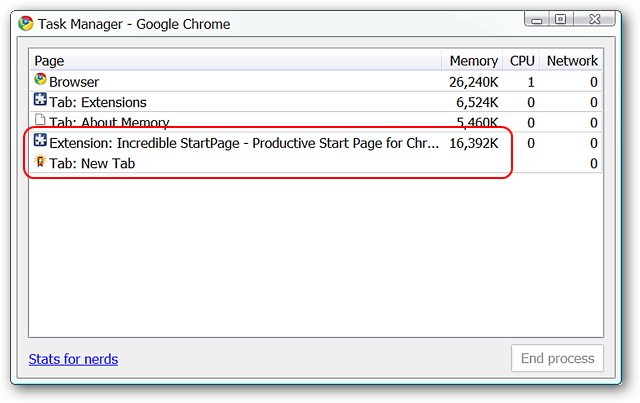 One quick click and there is a noticeable drop in memory consumption. 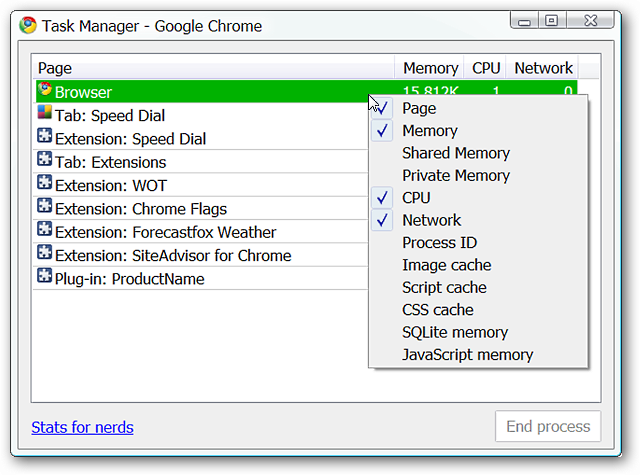 We hope that our examples here will prove useful to you in managing the memory consumption in your own Google Chrome installation. If you have a computer with limited resources every little bit definitely helps out.